Arts Horizons is pleased to highlight and recognize our arts education programs under contract with John F. Kennedy Center for the Performing Arts’ Department of VSA and Accessibility. 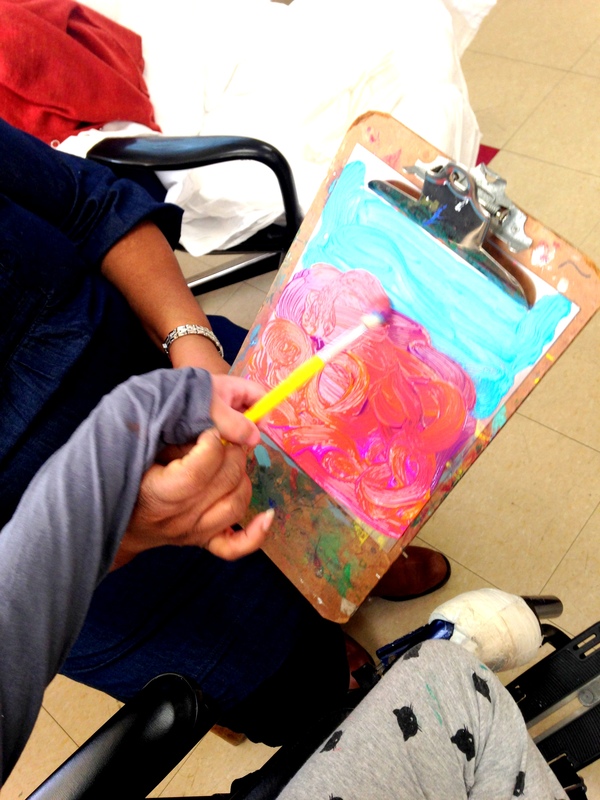 During this academic year, Arts Horizons has been contracted for 4 visual arts residencies at District 75 and Hospital schools in Queens, Brooklyn, Manhattan, and the Bronx through the VSA Children’s Visual Arts Discovery program (VSA-VAD). The schools are: PS 226M @ PS 76M (A. Philip Randolph) in Manhattan, PS 188X @ PS 34X in the Bronx, Queens Transition Center @ High School for Law Enforcement & Public Safety in Queens, and Hospital Schools @ Kings County Hospital in Brooklyn. Through VSA-VAD, Arts Horizons provided approximately 8 hours of instruction per student at each of the schools listed above. Our residencies fulfilled VSA-VAD’s aim “to build students’ skills through the application of sound pedagogical principals and quality curricula to create original words of visual art and the opportunity to explore one more visual arts media and genres.” They also aligned well with the Kennedy Center’s overarching theme for this year: UBUNTU: Yo Soy…Je suis…I am…Because you are. Ubuntu, which roughly translates to “humanity towards others” in the Nguni Bantu languages of Southern Africa, focuses on art’s unique ability to “create and sustain connections across race, culture, religion, and experience.” An added incentive for students was the opportunity to submit work to be showcased at the Kennedy Center’s “International Art Program for Children with Disabilities” live and online exhibitions in Washington D.C. Longtime AH Teaching Artist Mr. Mansa Mussa and renowned Staten Island-based visual artist Ms. Sarah Yuster conducted successful and highly-regarded visual arts residencies this year. Mansa is a New Jersey-based visual and performing artist, educator, and consultant who recently celebrated his 20th year with Arts Horizons. Sarah is known for her paintings of urban landscapes and portraits as well as her “Small Truths” film project which documents the experiences of immigration through the eyes of children. 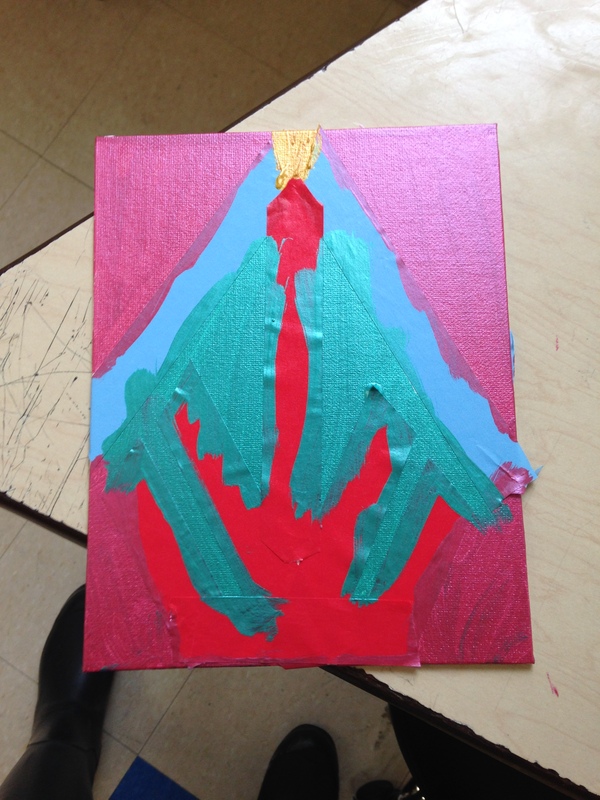 AH Program Coordinator Kiran Rajagopalan had the opportunity to visit their classes and observe how they inspired students to showcase their creativity through compelling visual arts projects. Let’s take a quick peek into their classes! We start with Sarah’s residency for Queens Transition Center at High School for Law Enforcement and Public Safety. This District 75 school primarily serves high school students with Individualized Educational Programs (IEPs) along with documented cases of violence and/or clinically diagnosed mental disorders. Visual art is effective among such students when it promotes creativity in a minimally triggering or volatile environment. Sarah was a nurturing, patient, and gentle instructor, and she was able to introduce her students to life drawing, action sketching, portraiture, and mixed media. According to Sarah, “once it became clear that [students] could delve into a personal endeavor of their choosing, many of them came in week after week to carefully attend a singular piece.” As a result, Sarah was able to submit several beautiful pieces for the Kennedy Center’s exhibition! 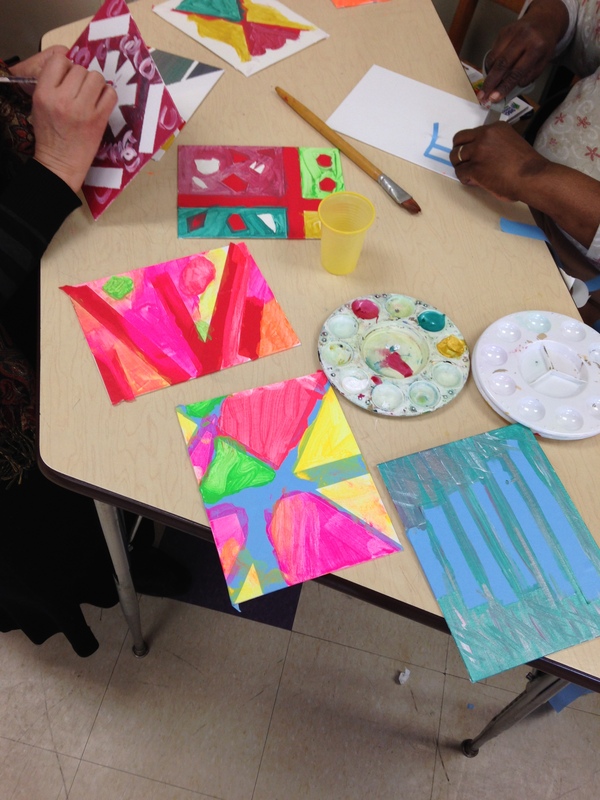 Mansa’s visual arts residency for District 75 elementary school PS 226M at PS 76M was devoted to collage-making. This artistic medium effectively showcases artistic creativity with easy-to-use materials such as stickers, stamps, gluesticks, and porous papers. Therefore, it is age-appropriate and safe for elementary school students with special needs and disabilities. Mansa is appreciated for his sensitive approach to teaching students in Hospital Schools and District 75 as well as his ability to pace classes without unnecessary wasting of time and/or art supplies. 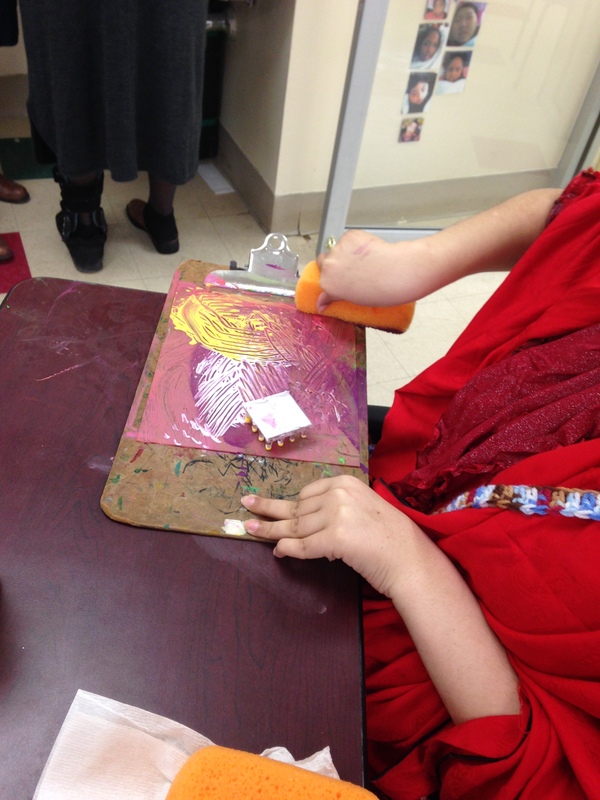 In this class, students spent the period adding an additional layer of 3-D objects made from grooved sticks and porous paper to their collages with the able assistance of teachers and paraprofessional educators. He even had students photograph their work using his iPad at the end of class! Mansa also delivered visual arts residencies through VSA-VAD at PS 188X @ PS 34X and Hospital Schools @ Kings County Hospital. As one of our senior-most teaching artists, he will be representing Arts Horizons at the Kennedy Center’s VSA Interactions: Arts and Special Education Conference in August! On the afternoon of Saturday September 7th, Ballet Faculty with Children’s division of The Jacqueline Kennedy Onassis School at American Ballet Theatre held their fall staff meeting. 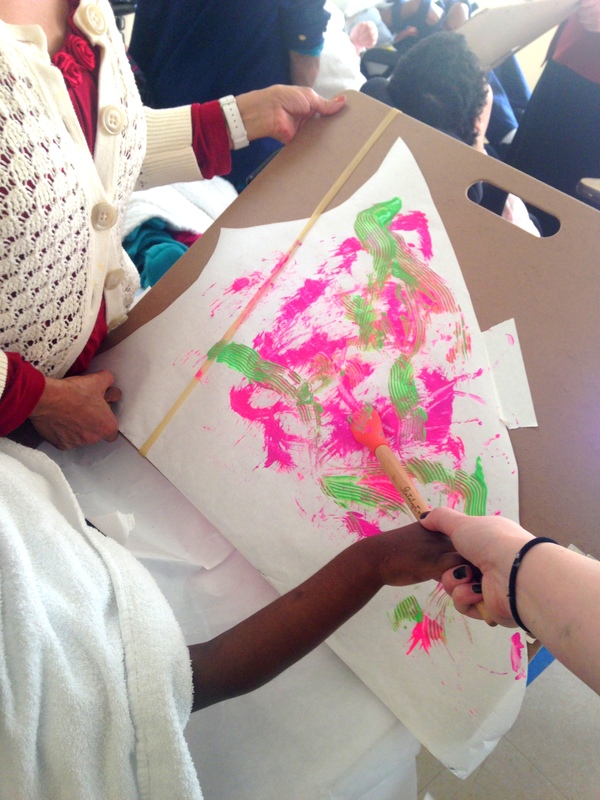 This year a special focus was designated specifically to address special needs of students in the pre-primary program in a workshop with Arts Horizons Director of Special Education and NYC Residencies, Dena Malarek. The Jacqueline Kennedy Onassis School Children’s Division is a ballet program for children ages 4-12 that promotes discipline and creativity while encouraging each child to reach their highest potential. Classes focus on building a solid foundation in ballet technique with an emphasis on proper placement and safe progressions of movement while remaining sensitive to the developmental needs of younger dancers. The workshop presented by Ms. Malarek was designed specifically for the organization and explored how they might best address the needs of young dancers with special needs with the context of expectations in the pre-professional training environment. Participants discussed relevant disability characteristics as manifested in the dance studio environment and targeted strategies for studio instruction, behavioral interventions and organizational accommodations. Taking this step to address special needs of young dancers in the JKO children’s division speaks very loudly to recognize the potential for young dancers who may have special needs to be given an opportunity in the world of pre-professional ballet. “It is essential for the faculty and staff to have access to this type of professional development so that we can be responsive to the needs of the student body,” Melissa Bowman, Assistant Principal of the JKO School. 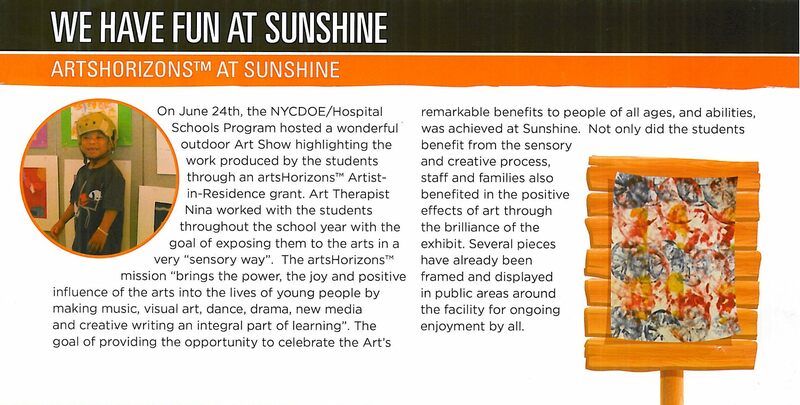 Dena Malarek, Director of NYC Programs and Special Education, joined Arts Horizons in June 2008. She brings with her over 19 years working in the field of disabilities services. She is certified as a recreation therapist and sits on the steering committee of the NYC Arts and Special Education Consortium. As a recreation therapist, her work and volunteer experiences span diverse disability genres and artistic/athletic/recreational milieus. As a former Director of Day Habilitation for adults with disabilities, she managed educational, recreational and arts programs to facilitate goal development. She further developed skills as a staff trainer in behavioral crisis management. A key focus of her programs was curriculum development for adults with mental retardation and autism transitioning out of the special education school districts. Her current major projects with Arts Horizons including the “Special Education Artist Academy for Arts and Autism” and “Hospital School programs” have been recognized with support from the National Endowment for the Arts, Christopher Reeve Foundation, NYSCA, and the DANA foundation. Dena’s skill set as a manager, trainer, recreation therapist, dancer and educator carefully guide teaching artists to effectively collaborate, educate and influence students with disabilities in partnership with school and community special education teams. Dena is also a modern dancer who performs in the New York City Modern dance community and teaches modern dance, jazz, ballet and yoga, to students with, and without, disabilities.